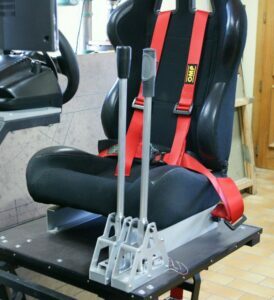 Our client had already built his own gear shift, a “shifter” as they call it, that works fine, but hoepd to develop a handbrake this time around. This project was bound to become larger than life! He sent us his DXF file containing the cuttings for his parts and John Steel Pro. went straight to work. 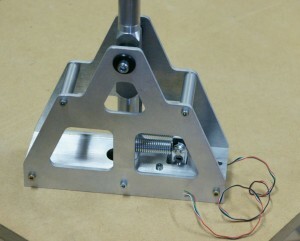 Forty-eight hours later the parts were ready to leave our workshop. Our race car pilot came to visit and as we know how to welcome our customers, we gave him a proper tour around the workshop. Thanks to our items, he was able to make his handbrake. Now his production was ready to compete against the competition! Even Alsace’s very own Seb would be jealous. Another mission accomplished for John Steel Pro. and our client. 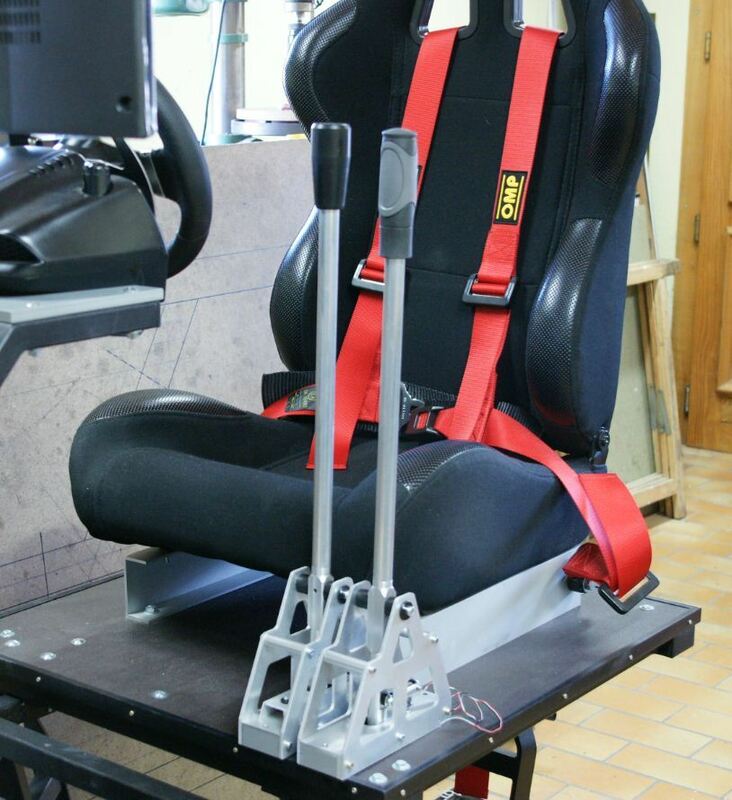 Even when we help make driving simulators, at John Steel Pro. we don’t mess around. Thanks for trusting us and congrats on your work!